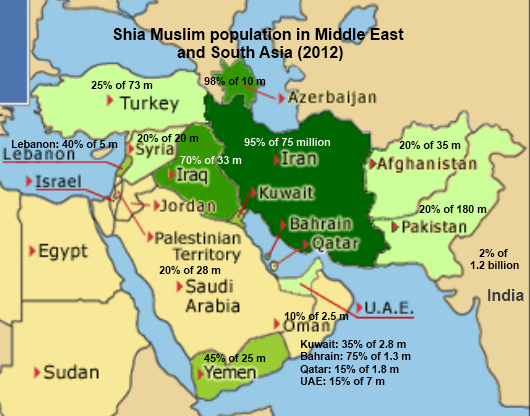 Shia Muslims make up between 10 and 15% of the Muslim umma. They are not one single sect and have a variety of religious, sectarian and cultural networks whose presence in Australia is growing especially among more recent arrivals from Iraq and Afghanistan (as well as more established communities of Lebanese, Iranian and South Asian heritage). Shias are also interesting as they have a strong Islamic theocratic tradition that is quite alien to the dominant Sunni idea of a caliphate. Iran was the first Islamic theocratic state of the 20th century after the end of the Ottoman caliphate, and Iranian Islamic thought was very influential in political Islamic movements during the 1980’s and 90’s in both Sunni and Shia forms of political Islam. Including in Australian Muslim circles. The Sunni-Shia dispute plays out in Muslim diaspora communities including in how the idea of jihad is understood and implemented. … artificial national boundaries … I propose to rescue Shi’ite Islam from the nation. Shia Islam (and indeed any form of Islam) cannot be thought of existing within purely “national” categories. Otherwise important developments will be obscured. This methodology is useful in providing a more transnational analysis. Cole distinguishes between the Arabic-speaking Shia and the Shia communities in and influenced by Iran. To the extent that these communities are present in Australia, the separate and at times parallel flows of theological and political influence are important to understand. J Cole, Sacred Space and Holy War: The Politics, Culture and History of Shi’ite Islam (2002) IB Tauris, London.